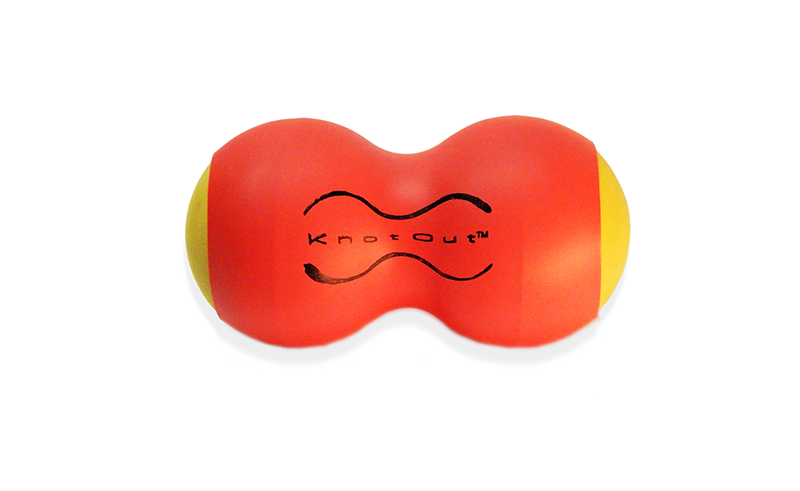 The unique shape of the KnotOut enables you to get to spots traditional rollers can’t reach. Made of natural rubber in a polyolefin sleeve, they are durable, portable, and easy to clean. 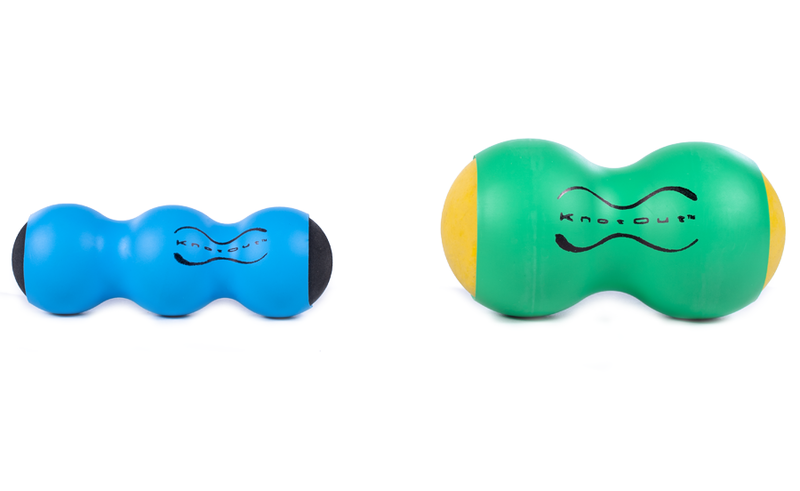 The large size is perfect for the glutes, hamstrings, and other large muscle groups, while the medium size works great for the shoulders and lower legs. The small KnotOut is the ideal size and density to massage the bottom of the feet and palms of the hands. Large: Approx. 4" (10cm) diameter x 8" (20cm) long. Medium: Approx. 2-3/4" (7cm) diameter x 5-1/2" (14cm) long. Small: Approx 1-5/8" (4cm) diameter x 5" (12.7cm) long.